Travelling as a family can be greatly rewarding. You will gain unforgettable memories that you can treasure for life. Many worldwide travel destinations offer wonderful life experiences that can strengthen bonds and enrich a family. Such destination is here in the land of adventures, Sabah Malaysia Borneo. With a variety of unique and wholesome activities to do, Sabah is a place that is ideal for both adults and children to explore. Downbelow Marine & Wildlife Adventures is your trusted Borneo specialist to customise your family itinerary. Our lodge and day trips are perfect for family holidays and we are dedicated to ensuring the best child friendly holidays Sabah. When travelling, it is essential to choose the best place to stay for you and your family. With all options available you can be overwhelmed with information, making it hard to decide. Fortunately, we have just the accommodation you need conveniently located here in the centre of Kota Kinabalu City, Sabah, yet away from the noise. Our Downbelow Eco Lodge offer rooms with facilities and amenities to suit all ages including the little ones. With affordable rates and no hidden charges, our online booking feature also provide ease for you to choose and confirm your room instantly within minutes. The types of room you can opt for at our lodge are the Family Room (Gaya Room) and the Family En-Suite Room (Sipadan Room). 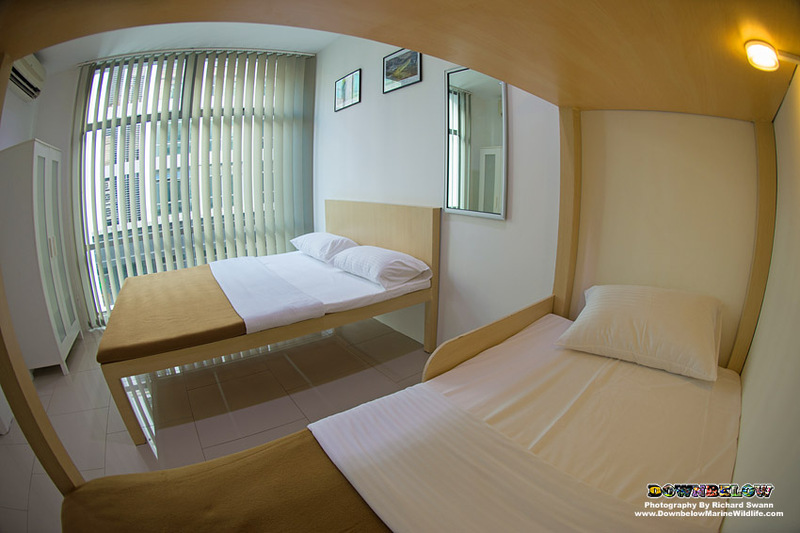 Both air-conditioned rooms are specially designed with a great layout that will comfortably fit you and your children and provide a peaceful sleep before and after your adventures in Sabah. All our mattresses are 100% latex and natural, which is best for health of the whole family and means that bed bugs which can often be found in tropical accommodation can’t exist here at the Downbelow Eco Lodge. We have a spacious and cosy communal room where kids can spend their time playing, reading, drawing, resting, watching cartoons and other activities. We have also provided in the Downbelow Eco Lodge a travel cot that in-house guests can freely use. More features of our lodge includes free access to high-speed wifi internet and usage of the coffee/tea amenities. As for safety, our security surveillance operates 24 hours a day on all communal areas, ensuring the protection of you and your family at all times. Our staff live at the lodge and the the complex has 24 hour patrolled security for everyone’s safe keeping – not that Kota Kinabalu is an un-safe place but its always re-assuring that safety is a priority. We offer many enjoyable, comprehensive and value for money day trip programs that are great for kids here in Kota Kinabalu. 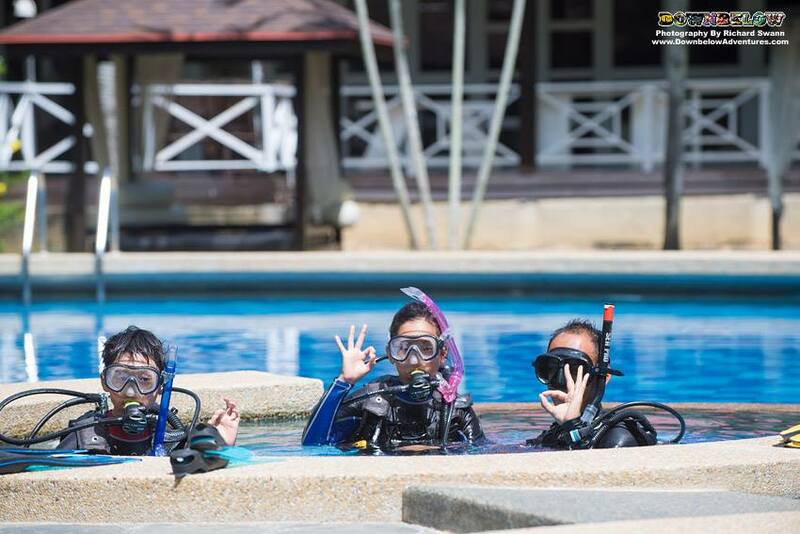 Only a few minutes away from Downbelow Eco Lodge, you can experience ocean fun with your family at our Downbelow PADI 5 Star CDC Dive Centres in Tunku Abdul Rahman Marine Park. 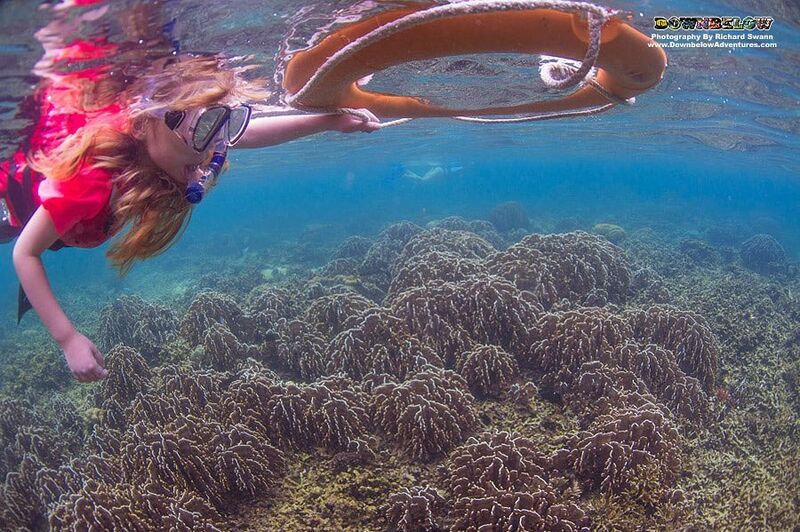 See tropical marine life and colourful soft corals in our Snorkel Safari program. It is most suitable for children because this activity is easy, safe and fun at the same time. A professional PADI Instructor will first conduct an orientation at the pool or at the bay to practice important skills before heading out on our boat. We will teach you the basics of mask clearing, kicking techniques and snorkel use through shallow water instruction. After that, you are ready to swim and snorkel in TARP in search of “Nemo” and other fishes! If the little ones show interest in scuba diving and wish to try it themselves, our PADI Bubblemaker for Kids activity is perfect for them. This program introduces kids to scuba diving in a highly supervised, fun and relaxed manner. As part of this program, and under the guidance of a PADI professional, children divers learn basic safety concepts, put on equipment and swim around underwater in a closely supervised environment at our own private pool area. Once kids are comfortable with the scuba equipment and master the basic skills, the instructor will then bring them to experience their first Open Water dive (max 2m/6ft depth) at the shallow house reef area at the front bay. You and your family will enjoy beautiful island surrounding or just hangout by the pool to relax during the quick breaks in between sessions. 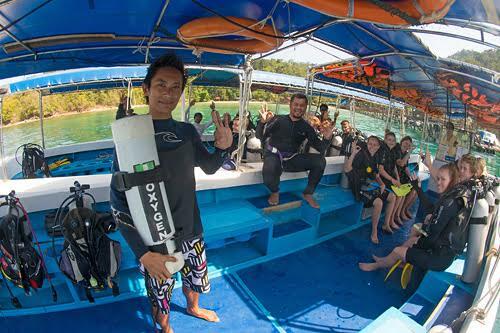 Another option to enjoy scuba diving is the PADI Discover Scuba Diving program. It is a perfect holiday activity for non-divers who wish to go scuba diving and children can participate in it too. In this program, you can go through a knowledge briefing, learn basic scuba skills and go on an open water scuba dive to our ‘house reef’ together with the kids. It will be a very special moment when you experience the underwater world as a family. For a private and relaxing day exploring Sabah’s amazing nature with children, we have the Kinabalu Park Day Trip program. The drive to the UNESCO World Heritage Site Kinabalu Park from Downbelow Eco Lodge is approximately 2 hours and the journey itself will be enjoyable for the whole family. Enjoy the scenic route and catch glimpses of Malaysia’s tallest mountain, the majestic Mt Kinabalu along the way. Once there, spot rare and endemic species of flora and fauna when you stroll by rivers and mountain trails and learn about plants in the park at the Botanical Garden. After that you will visit the Poring Hot Springs where the kids can visit butterfly gardens, have fun at the canopy walkway and get a chance to see the world’s largest flower, Rafflesia. Kota Kinabalu city itself has many interesting attractions. 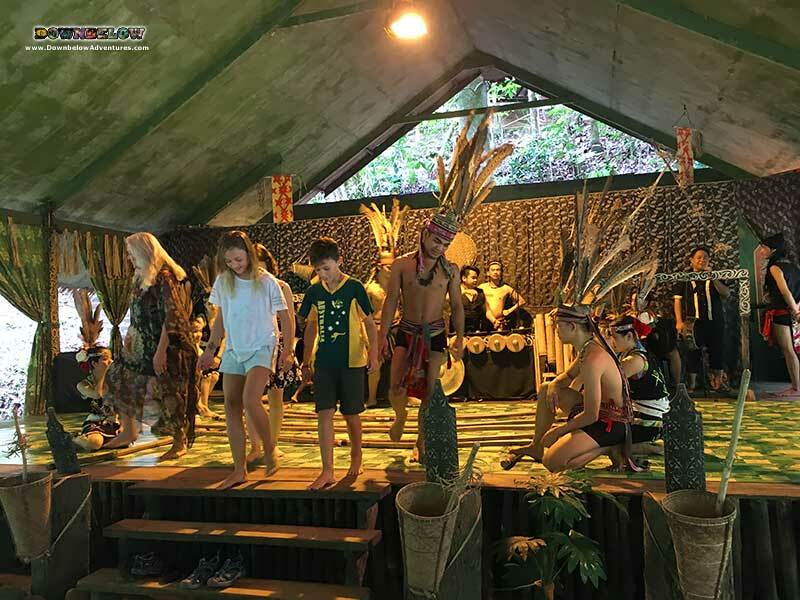 Our private and tailored Best of Kota Kinabalu Tour program takes you and your family to the best places to visit in the city and learn about the local people of Sabah at a cultural villages. Among the attractions you will visit are Signal Hill Lookout, Sabah Museum and Handicraft Market. At the cultural village, you and the family will explore five different ethnic homes of Sabah. The children will participate in fun activities such as blowpipe-making, henna-making, bamboo cooking, and try out the traditional bamboo trampoline. There will also be an exciting cultural show featuring traditional dances of multiple ethnic groups of Sabah that will entertain the kids. We have a variety of day trip programs in Sabah and the above are only some of them. To see all of our day trip programs, visit our webpage here! 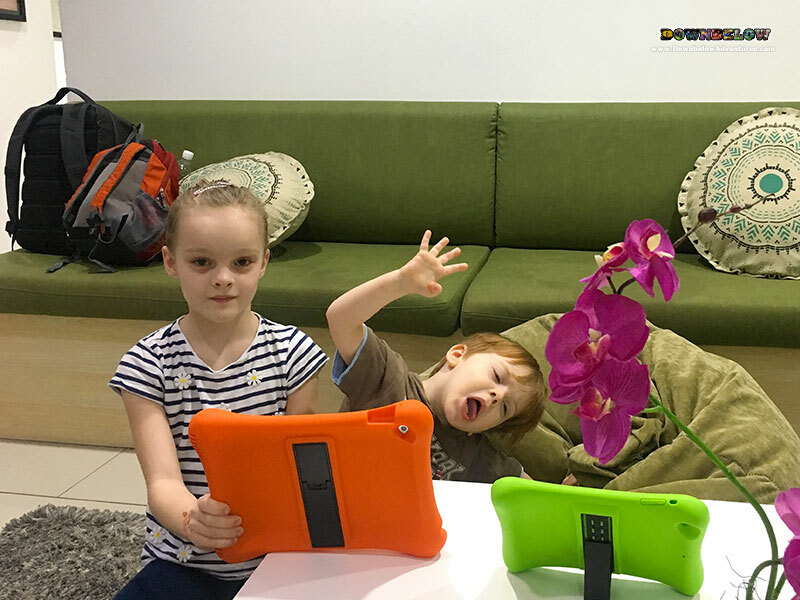 If you are planning to travel to Sabah Malaysia Borneo with your family soon, we would be delighted to tailor and customise a program just for you. 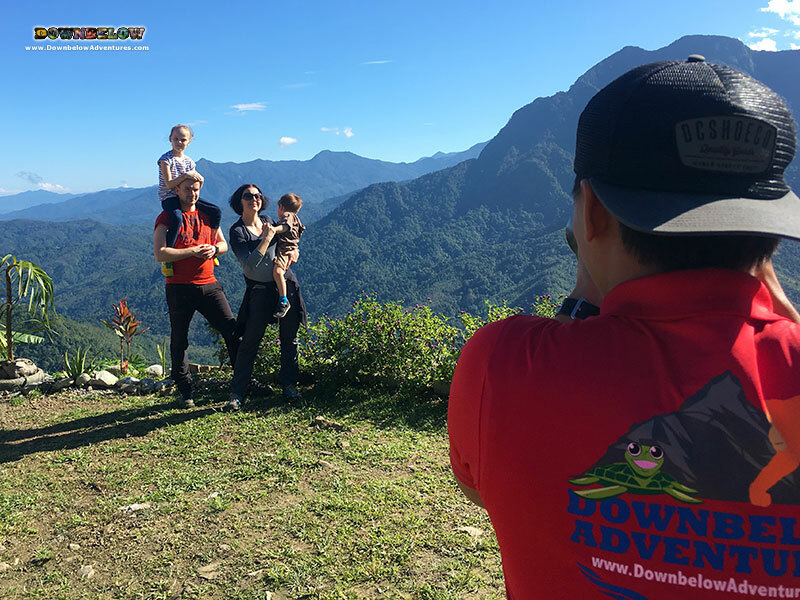 Our knowledgable and friendly Travel Centre team can assist you with your enquiries about our child-friendly trips, contact them at +60128661935 or email at info@DownbelowAdventures.com today! At Downbelow we are passionate about what we do and we love to write about it. Articles are submitted by a number of the team about our marine & wildlife adventures.